In my opinion, lens selection for landscape photography is a lot less subjective than other types of photography. What I mean by that is that other types of photography give you more leeway for choosing to use a lens based on your personal style, whereas with landscape photography, there’s a few focal lengths you have to have covered if you want to take it seriously.For example, a street photographer could choose to shoot through their whole career with just one single 35mm lens based on their personal style. Another street photographer may do the same but with a 28mm focal length. Similarly, a portrait photographer could essentially opt to do all their work with just a single focal length like 85mm or 50mm. And in this article I’m going to go over the best Nikon lenses for landscape photography that fall into each of these categories. 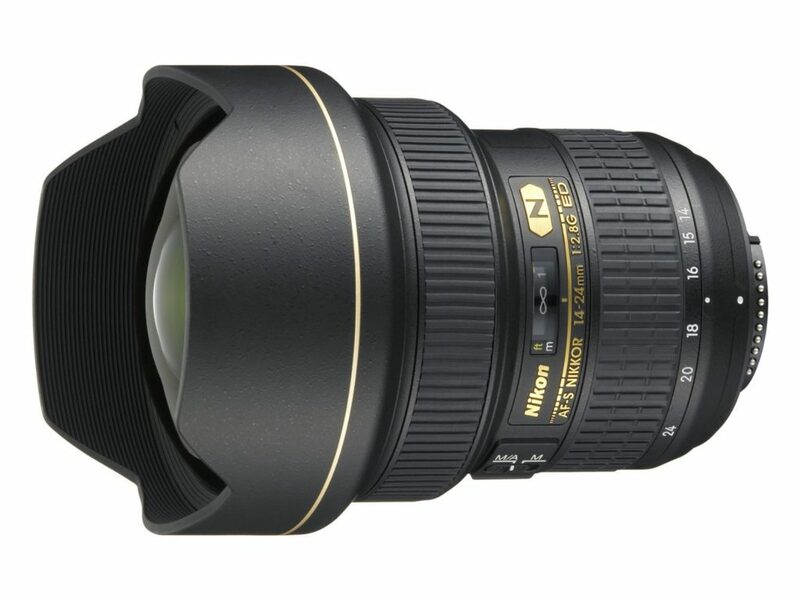 First on the list is the Nikon 14-24mm f/2.8G. Professional landscape photographers drool over this lens because of its insane sharpness and detail. Before this lens came along, it was just unheard of to have such a wide zoom lens to perform this well. You could get it with primes but with zooms. The Nikon 14-24mm f/2.8G is great when you want those big, sweeping landscapes. I wouldn’t say it’s an easy lens to shoot landscapes with considering how wide it is. Obviously the wider your lens is the more your camera takes in, so shooting with a lens this wide makes it much easier to end up with photos that are too busy compositionally. But when everything comes together and you get everything right with this lens, it really sings. It’s super sharp, resolves a ton of fine detail, and gives you nice punchy colors. It’s not a fisheye lens, but it does expectedly suffer from distortion, especially at the wide end. Luckily it’s really well controlled when shooting scenes from a distance, like with landscapes and cityscapes. I would steer very clear from using it to photograph people though—photographing people with it is a big no-no in my book. Just don’t do it. I’ve seen wedding photographers who use it for dance floor shots and it has people looking like Stretch Armstrong dolls. It’s not a look I’d like to deliver to my clients. But for landscapes, cityscapes, and architectural photography, it does a really great job of producing realistic perspectives. It’s also a life-saver for real estate photography when you need to show a cramped space. While the Nikon 14-24mm f/2.8G is an exceptional performer that no other manufacturer has been able to match, it doesn’t come without its faults. Namely, its weight and inability to take filters. It’s heavy enough to cause discomfort in your shoulders and neck when using it with a strap. Same thing goes for your hands/fingers. Additionally, its bulbous front element not only makes it look like it was assembled in outer space, it sticks far past the lens barrel, rendering it impossible to use with filters. Considering its focal range is ideal for landscapes and landscape photography often calls for using polarizing or neutral density filters, it seems like a pretty big oversight on behalf of Nikon. But it’s certainly not a deal breaker for me. What is the best Nikon lens for landscape photography? What I look for in a good landscape lens is sharpness, detail, good color reproduction, and a useful focal length/range. 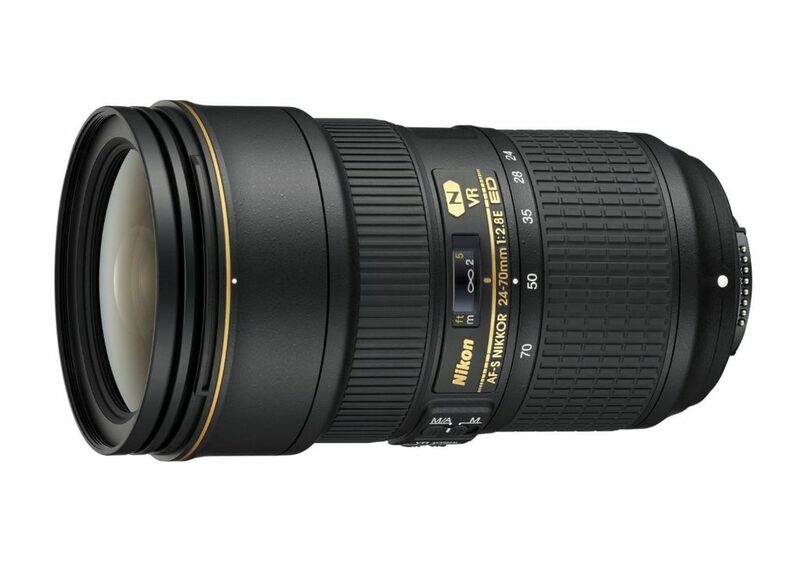 The Nikkor 24-70mm f/2.8E ED VR has all of that. While a good majority of my favorite landscape shots have been taken with the Nikon 14-24mm f/2.8G, the Nikkor 24-70mm f/2.8E ED VR is my most used lens for shooting landscapes. The Nikon 14-24mm produces some epic shots, but I often find myself wanting to eliminate distracting elements in my frame by using the 24-35mm range of the Nikkor 24-70mm f/2.8E ED VR. The older version of this lens had the benefit of having the same useful focal length, but the softness in the corners bothered me. But with the Nikkor 24-70mm f/2.8E ED VR, the new optical formula results in greater sharpness across the entire frame, making me a happy camper when I use it for landscapes. 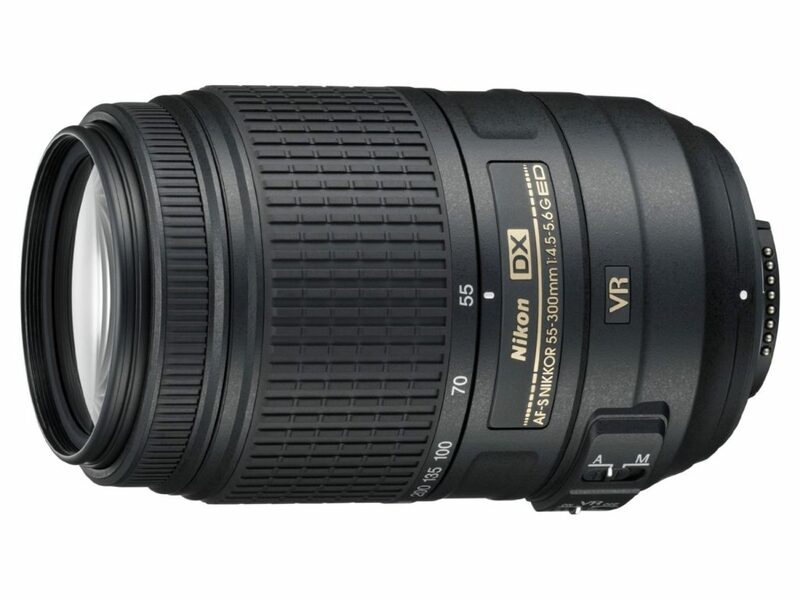 In my opinion it’s the best Nikon FX lens for landscape photography. I’m sure you noticed that this lens covers much of the same focal length of the previous lens, the 24-70 – and 50mm more obviously. For landscapes, the loss of a stop of light of aperture doesn’t both me one bit as I’m never shooting landscapes wide open. But what does bring this lens down a peg in comparison to the 24-70mm is that it’s slightly less sharp. This is being a bit nit-picky because the Nikon 24-120mm f/4G ED VR is actually very sharp. Especially for its focal range. Just a hair less than what you get with the 24-70. And there are a couple clear advantages this lens has over the 24-70. At 1.57 pounds, it’s almost a full pound lighter than the 2.4 pounds of the 24-70. That’s a big difference when you’re out in the field lugging around equipment for landscape photography. The extra reach definitely is also an added bonus that shouldn’t be overlooked. Depending on how you work, you could certainly make the case for this being the best Nikon FX lens for landscape photography, but in the end I’d give that distinction to the 24-70 because of its superior image quality. The differences in image quality between the two are not likely to be noticed by non-photographers. 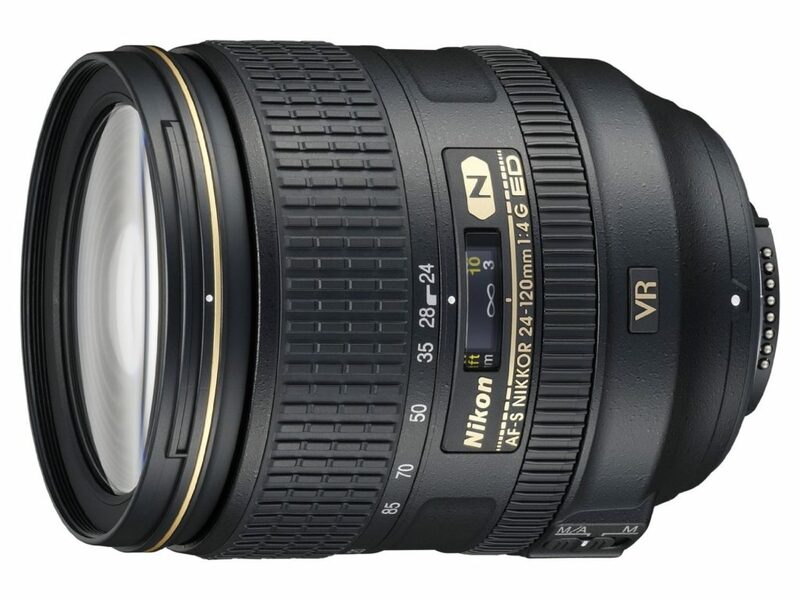 The Nikon 24-120mm f/4G ED VR does 95% of what the 24-70 does and has the benefit of having the wider zoom range. But if you really need the best of the best, say if you plan on blowing your photos up to really large sizes, the 24-70 is the way to go. Overall though, the 24-120mm f/4G ED VR is a great performer. I admittedly had very low expectations for this lens. But I was really very pleasantly surprised after getting my hands on it. I thought it was all about going as wide as you can go. But I quickly learned how telephoto lenses fit into landscape photography. 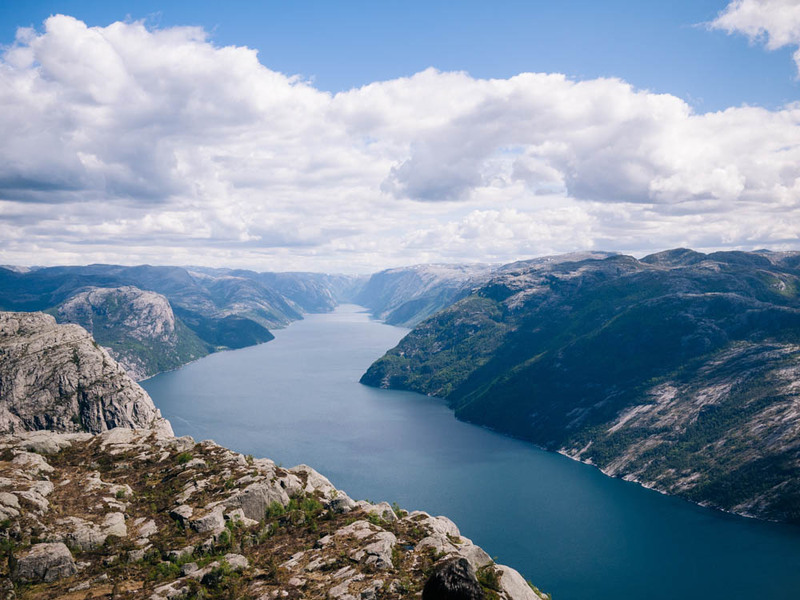 Landscape photography is all about composition and when you need to cut out the clutter and isolate certain aspects of your frame, that’s when longer lenses come into play. For situations like when there’s a tree off in the distance or an inaccessible waterfall that you’d like to shoot, the Nikkor 70-200mm f/2.8G ED VR is hard to beat. Very much like the other two lenses from the Nikon “holy trinity” lenses, the 14-24 and 24-70, the 70-200mm produces excellent image quality. It’s tack sharp and renders a lot of fine detail. While it’s hefty size and weight make it quite the pain in the rear to lug around, end the end the results are worth it. While you don’t get the versatility of a zoom lens with the Nikkor 24mm f/1.8G, it makes up for it in sharpness. There’s simply no zoom that covers the 24mm focal length that matches the sharpness of the Nikkor 24mm f/1.8G. The Nikkor 24mm f/1.4G has long been loved and revered for its image quality and sharpness but when the 1.8G came along it was a pleasant surprise to say the least. The Nikkor 24mm f/1.8G may let in 2/3rds less of a stop of light at maximum aperture than the 1.4 version, but in every other respect outperforms the 1.4 handily. Sharpness, resolution, chromatic aberration—you name it. And at least for landscapes the wider aperture is completely unnecessary. Not to mention it’s less than half the price of the 1.4. I thought the 1.4 was sharp but the Nikkor 24mm f/1.8G takes it to another level. Whenever I’m shooting landscapes and think that it’s a potential shot that I might end up blowing up to a large size, I try to use this lens. I also like how it renders colors—nice and punchy but not overdone. 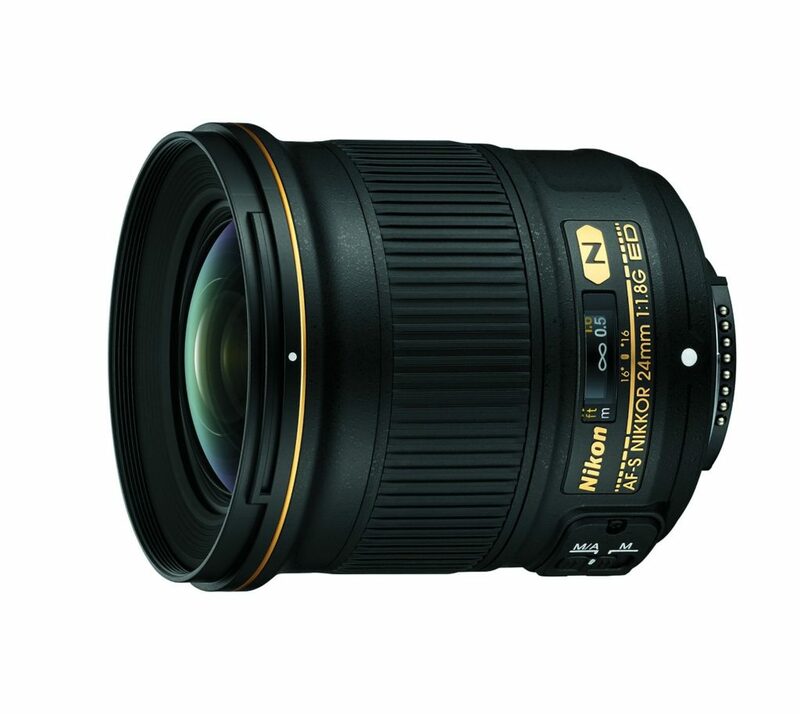 With the 1.5x crop factor, the DX NIKKOR 10-24mm f/3.5-4.5G gives you an effective focal length of 15-36mm. While I’d like to have the option of going wider with DX glass, it’s reasonably wide for landscape photography. While I normally stay far away from variable aperture lenses, for the purposes of landscape photography I don’t mind because I’m always stopped down to f/8 or smaller. And once you stop this lens down it’s as sharp as most photographers doing landscapes needs. It has some noticeable distortion at the wide end but that’s to be expected. I like this lens because of its light weight. It’s made of mostly plastic so it is not one of my most rugged lenses, for sure. But at least it allowed Nikon to keep the weight under control. When I’m doing casual landscape photography and want to travel light, this is one of my go-to lenses. 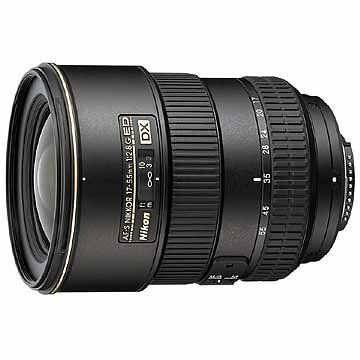 Another really good option for doing wide angle landscape photography with crop sensor Nikons is the Tokina 11-20mm f/2.8. It’s actually on par with the Nikon in terms of image quality and is actually probably sharper. It’s also clearly got better construction as it’s made of metal. Not to mention it’s cheaper. But it’s a tough decision between the two. In the end I like the Nikon because of being able to go that one millimeter wider and its larger zoom range. Those two things are important for me, but you may have different priorities. With an effective focal length of 25.5-82.5mm on DX cameras, you get a very useful and versatile focal range, much like you get with the 24-70mm zoom lenses designed for full frame cameras. 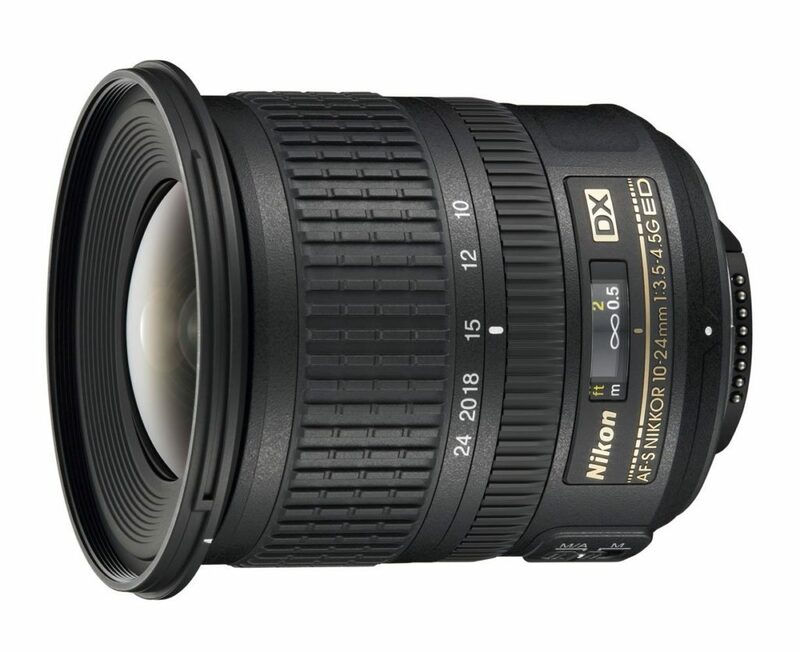 The DX NIKKOR 17-55mm f/2.8G does not perform up to the same standards as that of the Nikkor 24-70mm f/2.8E ED VR. I don’t think anyone is expecting to do so. But it’s not far off and you get a lot in return for what you pay. It’s a pretty sharp lens with nice, punchy color reproduction. 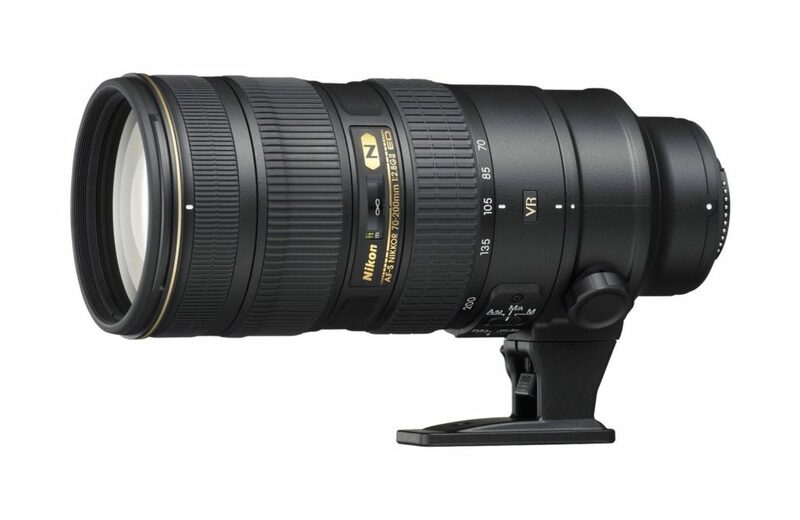 If you’re a DX shooter and you’re serious about landscapes, I’d say this is a must-have lens. Again, I’m not a fan of variable aperture zooms normally but for landscapes where I’m always at f/8 and smaller I don’t care. For times when you need that extra bit of reach, this lens comes in really handy. Its wide zoom range allows you to get some shots that you wouldn’t otherwise be able to get. It also has two ED elements, making it sharper and reducing chromatic aberration. While it’s marketed towards amateur photographers, it produces solid results in the hands of a knowledgeable photographer. The downside is that it’s designed only to work on DX cameras, so if you’re thinking of upgrading to full-frame it may be in your best interest to go with a different lens. The key to landscape photography gear is having the right tools for whatever the situation throws at you. To me, that means having wide, mid-range, and telephoto focal lengths all covered. So can there really be THE best Nikon lens for landscape photography? I think all the lenses on this list are all very capable lenses but in the end it’s what you do with them that really counts. Finding your own style and photographic voice is far more important than any piece of gear. Are you thinking about adding one of these lenses to your kit? Please consider buying by using one of the affiliate links throughout this post. It doesn’t cost you anything extra, but I receive a small commission from the sale, which helps me keep this site up and running.